Francis Bacon rather obsessively revisited religious imagery in his iconic paintings. 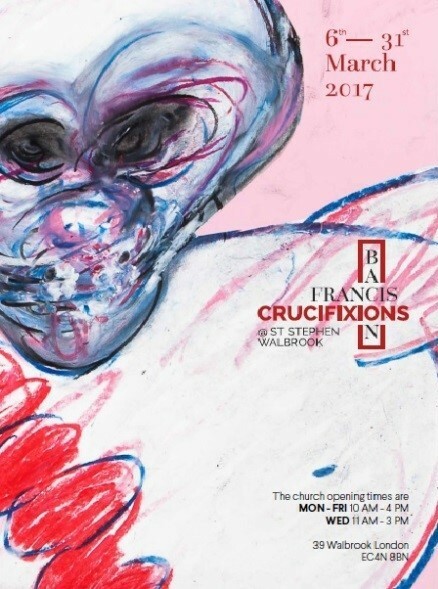 The subject of the crucifixion preoccupied him throughout his life as he made at least eight major Crucifixion paintings, spanning five decades, including the work that launched his career, Three Studies for Figures at the Base of a Crucifixion. Bacon thought that this subject, more than any other, had the validity to embrace all the nuances of human feelings and behaviours that enable us to think about all life’s horror. Bacon’s basing of his godless images on an image freighted and weighted with salvific power highlights its enduring impact, even in the secular West and even in the work of an avowed atheist. The bleak obscuring of features in Bacon’s images of Christ reveals the emanation of love which leads Christ into nothingness. For all these reasons, Bacon’s crucifixion drawings deserve the interest of Christians, as well as that of art historians or art lovers, and reward informed reflection and contemplation.